Why choosing Argentine pecan nuts? The highest quality at the right time. We produce pecan varieties of the same quality as that of the largest global exporters, and we have the advantage of off-season production with respect to the Northern Hemisphere. The good weather, the suitable soils, and the abundance of water to irrigate new forests translate into the production of larger nuts, something that makes us very competitive. In 2003, pecan producers -seeking for an opportunity to work in collaboration– joined efforts to share knowledge and experience, aiming at improving quality and increasing exports. After twelve years of collaborative work, in 2016, producers decided to move forward and formed the Argentine Chamber of Pecan Producers (CAPP, for its Spanish acronym), an entity having national legal personality, formed by 120 producers. Over the past six years, CAPP has promoted and made group exports. At present, 40 countries are being evaluated as potential export markets by 2020-2030. Ideal ecosystem for pecan nut production. Off-season production with respect to the Northern Hemisphere (April, May and June). Large plantable lands suitable for pecan farming (1,500,000 Km2). Perfect adaptability of varieties used in the USA with the genetics of the US Department of Agriculture (USDA). Water reserve from a large underground aquifer with excellent irrigation quality. Varied ecosystems at different latitudes allow for early and late harvesting. Shipment of pecan crops in June, July and August. Nut quality standard based on USDA and SAGARPA (Mexico) regulations. Production of 36 varieties grafted using USDA genetic material. Little use of phytosanitary products for being a novel and very scattered crop in Argentine. Support from the Argentine Government through globally renowned technical organizations. Associated producers export their crops jointly. Young trees of modern grafted varieties which produce large nuts. At present, Argentina offers 36 pecan cultivars, which makes us one of the largest germplasm banks in the world, only behind the United States. The genetic material of plants comes from the Germplasm Bank of INTA ProPecan, a government entity which owns 36 cultivars. Most of these come, in turn, from the Pecan Breeding and Genetics Program developed by the USDA Agricultural Research Service. The Argentine Agricultural Technology Institute (INTA, for its Spanish acronym) is a decentralized public entity created in 1956, devoted to spreading knowledge and developing technologies for producers to realize their full potential. 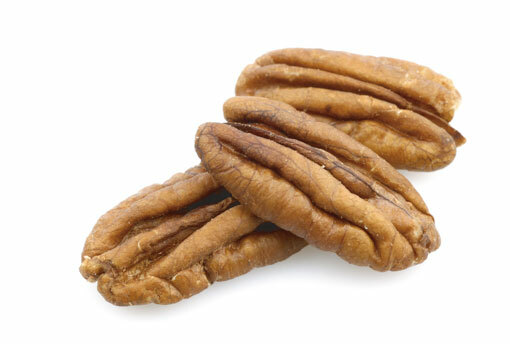 Its role in pecan production consists in researching and disseminating documents on this crop. Argentina has ideal ecosystems for pecan nut harvesting, as well as large areas suitable for off-season production with respect to the Northern Hemisphere. Northern Hemisphere latitudes between 35o and 25o North match exactly those between 25o and 35o South in the Southern Hemisphere. Our crops are of the same quality as that of large international producers, since our pecans are harvested under the same standards and requirements. Nature, water and soil quality, and the work of specialized personnel have created a competitive agribusiness, where producers, suppliers and service providers, processing companies and exporters contributing all to the continual improvement of pecan production form a sustainable value chain. As for good agricultural practices (GAP), the Argentine legal framework includes three resolutions issued by the Department of Agriculture, Livestock, Fisheries and Food (SAGPyA, for its Spanish acronym) and the Argentine Agrifood Quality and Safety Service (SENASA), which establish requirements related to personnel training and the documentation necessary for the entire production process. Our priority is to deploy optimal technologies for the development of pecans and train specialized personnel in pecan nut growing. These include water quality analysis, plant health care, pest control, spraying, pruning, drip irrigation or micro-sprinkling, fertilization and fertigation techniques, mechanical harvesting, logistics, and fruit drying and conditioning, among others. Environmental protection is part of the core ideology of our production, and also allows us to keep our nut quality standards. Our corporate social responsibility prioritizes environmental protection and is present at every stage of any decision-making process, thus enabling the control of the phytosanitary methods and elements to be used in the harvest process, which are supervised by SENASA. We are in constant contact with the world’s primary producers and regulatory entities to maintain the highest crop conditioning and classification standards. Safety and quality standards are issued by SENASA, the Argentine entity in charge of controlling all pecan-related production activities through Regulation No. 446/4. The regulatory framework applicable in Argentina follows the rules in force in the United States and Mexico and apply the same nut weight and size category standards. Freelance agricultural engineers –licensed as inspectors– conduct a strict quality control of each member’s crops. In-situ samples are obtained; each sample bag is then tagged with a number, and each variety is identified with a color. The inspector also takes counter samples for quality analysis purposes. CAPP authorizes a producer to deliver the output to the warehouse for shipment to the destination country only after a certificate approved by the professional has been issued. 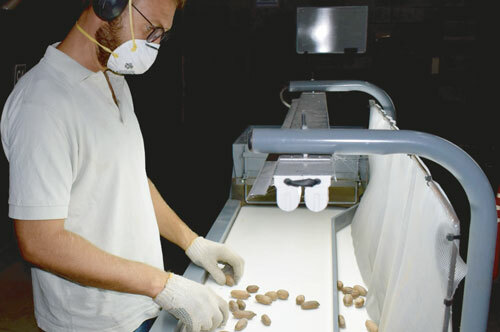 The sorting machine sorts nuts based on nut diameter. 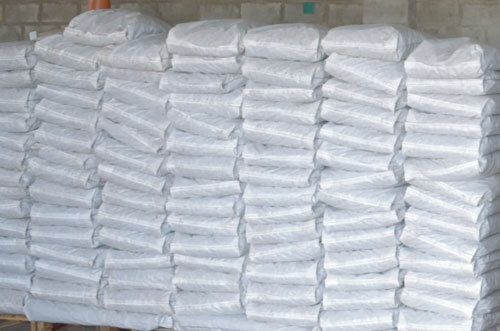 We are assisted by a specialized trading company which provides us with cold store services for pecan nut storage, container load systems, freight transportation services, satellite monitoring, and reception of shipment at destination. Argentine meets all conditions to export in-shell and shelled certified varieties of pecan nuts. The INTA is developing a DNA-based identification and traceability system known as pecan biocoding. Some of the commercial destinations of Argentine pecans are Algeria, the United States, Hong Kong, Italy, Vietnam, Uruguay and Germany. Six years of exports to different destinations have given us foreign trade expertise. Today, we are the largest pecan exporters in Argentina. In 2017, 250 tons were exported for an amount of USD 1,500,000. In 2018, we expect to sell 500 tons, in 2019 1.000 tons of pecans. The volume harvested represents only 14% of all plantations, since the remaining 86% of the trees is not yet 10 years of age. CAPP is mainly focused on exporting. We have recently begun participating in international food exhibitions and evaluating the market in several countries. Indeed, our directors and technicians have received training in international trade negotiation. The Argentine Government supports us through globally renowned technical organizations such as ProPecan, SENASA, INTA, the Federal Council of Dried Fruits and Nuts, and the Argentine Department of Agro-Industry.